Christian Fennesz's trademark sound combines guitar playing with digital techniques like granular synthesis. This style has been described as "Rock meets PowerBook". His oeuvre is far broader though - he's been at the forefront of digital music for many years now. Hotel Paral.lel won the Prix Ars Electronica Award of Distinction for Digital Musics in 1999 along with Pita's Seven Tons For Free. At the frontier of contemporary music is Fennesz: a meticulous laptop conceptualist who weaves tangible melodies and glowing guitars through dense, symphonic electronica. His oeuvre is far broader though - he's been at the forefront of digital music for many years now. Hotel Paral.lel won the Prix Ars Electronica Award of Distinction for Digital Musics in 1999 along with Pita's Seven Tons For Free. At the frontier of contemporary music is Fennesz: a meticulous laptop conceptualist who weaves tangible melodies and glowing guitars through dense, symphonic electronica. Fennesz uses guitar and computer to create shimmering, swirling electronic sound of enormous range and complex musicality. "Imagine the electric guitar severed from clich? and all of its physical limitations, shaping a bold new musical language." - (City Newspaper, USA). 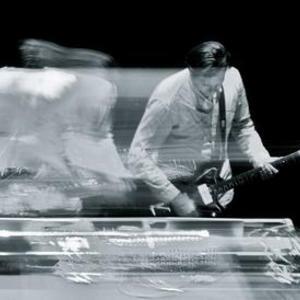 Christian Fennesz is known from his own particular musical world as well as his impeccable work in creating beautiful compositions for guitar. Somewhere between concrete music, classical and ambiance sounds, he stretches musical resources and effects to create melodies and atmospheres that fuse classical and orchestral concepts with conceptual musical research and complex digital structures. Fennesz has been recording with Ryuichi Sakamoto, with whom he also plays live, with Keith Rowe, Sparklehorse, Mike Patton, etc... He has also worked alongside Peter Rehberg and Jim O'Rourke in the improvisional trio Fenn O'Berg, and with David Sylvian who sang on his album Venice and for whom Fennesz composed the music for the song "A Fire in the Forest" for his album Blemish. Rolling Stone described him as "the most pictorial composer-programmer in laptop electronica". "Fennesz's guitar and laptop live set demonstrate why he remains one of the most engaging musicians using electronics. His treatment of the laptop and guitar allow each to give up its identity to the other, exquisite guitar washes loosing their specificity to the crackling textures of the laptop. Live guitar chords become loops on the laptop and he constantly shifts between contradictions and possibilities of each." In November 2008, Christian Fennesz released a new album: Black Sea on the Touch Label. In 2009 Fennesz teamed up with Mark Linkous (Sparklehorse) to create In The Fishtank 15.